New York - Porsche will begin an app-based subscription service next month, joining the ranks of automakers experimenting with more flexible ownership models as ride hailing and smartphones upend traditional auto sales. The length of the pilot, called Porsche Passport, is open-ended and initially will be limited to just 50 people in Atlanta, according to Klaus Zellmer, president of North America for the Volkswagen AG unit. The first subscription tier starts at $2 000 (R27 300) a month and allows users to summon a 718 Boxster, Cayman S, Macan S or Cayenne on demand. 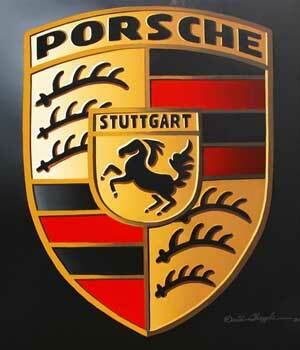 For $3 000 (R41 000) a month, drivers get access to 22 different Porsche models. Registration, insurance and maintenance costs are covered, though subscribers still have to pick up the tab for petrol. They can swap for as many different models as desired during the month. Porsche is looking for a way to reach younger consumers whose shopping and transportation habits have been shaped by Silicon Valley giants like Uber and Airbnb. It’s following in the footsteps of GM's Cadillac, which launched its Book subscription service in the US in January, and Care by Volvo, which combines lease, insurance and maintenance into one monthly payment. Porsche is partnering with Atlanta-based startup Clutch Technologies, which sells analytics software that can predict which models will be in demand based on past customer behavior, weather conditions, and other factors. The brand’s two Atlanta-area dealerships will provide service and maintenance for the fleet of cars used through the service, he said.